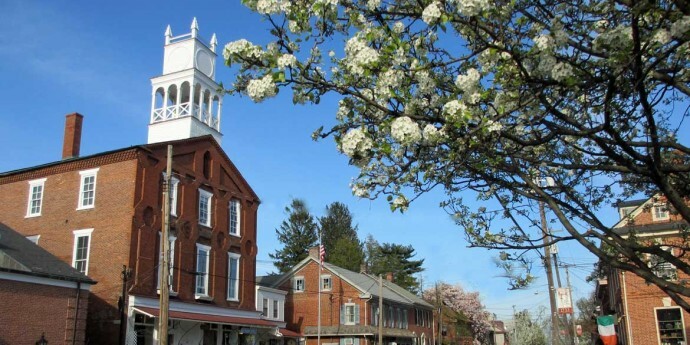 Visit Strasburg PA – one of Lancaster County’s most unique villages beckons visitors with sights and sounds of another time. Train Collectors Association – headquartered in Strasburg, Pennsylvania, is one of the largest and most prestigious collecting societies in the world. The Lancaster County Art Association – a non-profit art association with an emphasis on community service and teaching art. Railroad Museum of Pennsylvania – everything you ever wanted to know about trains, locomotives, railroads, and their rich history. Strasburg Rail Road – fall in love with trains all over again. Strasburg Scooters – Enoy a guided tour through the back roads of Lancaster County as you follow your guide on a ride full of surprise stops hidden throughout the countryside. Lancaster Central Market – a living tradition. Central Market is the cornerstone of Lancaster’s living history and a daily reminder of the enduring vitality of community life. When you shop at Central Market, you are participating in a cultural tradition that touches four centuries. Deneen Pottery – The premier producers of custom handmade logo stoneware. Lancaster County Bed & Breakfast Inns Association – listing of more unique lodging in Lancaster County. Pennsylvania Dutch Convention & Visitors Bureau – The Official website for Lancaster County tourism. Southern Lancaster County Chamber of Commerce – The Southern Lancaster County Chamber of Commerce strives to advance the civic, commercial and industrial interests of the Southern Lancaster County area.